Hey, I’ve got a great idea. Let’s get loads of people together and record some second-rate covers of my favourite band, Yes. We can say it’s a tribute on the back of their 50th anniversary, and sell shedloads of CDs. We could do it twice… Their bass player died not so long ago, didn’t he? Let’s do something similar to remember him by, too. Who you going to ask then? Well, I thought some of the current guys in the bad, those who haven’t had a chance to try playing some of this stuff recently… That new vocalist chap, Jon Davidson, and maybe that keyboard player who has been a guest on tour recently. And I’m going to get hold of a few names too, and ask Billy Sherwood, that friend of Chris Squire’s who Squire ‘handed the baton’ to before he died, so that Yes could continue as a band. How’s it going then? Everything recorded? Who did you get on board? I got Steve Hackett who used to be in Genesis, Annie Haslam who used to be in Renaissance and Todd Rungren, who used to do soemthing, too. And ace synthesizer player Larry Fast. Well, Billy Sherwood came on board. In fact he does a version of Chris Squire’s ‘The Fish’ track on Yesterday & Today. Wasn’t that Squire’s pièce de résistance, a trademark of his? He used to solo with it on tour. Yeah, definitely. Mind you, Sonja Kristina has covered ‘The Fish’ too, for the Squire tribute. She was in Curved Air, you know. Well, you should. Her and the rest of the band cover some other stuff. And there’s loads of other people playing on other tracks too. Apparently they are all progrock musicians I should know of. Err, no, I don’t. But Chris Squire’s ex-wife Nikki contributed a version of ‘Owner of a Broken Heart’. Great! That’s hardly classic Yes though, is it? No, it’s bad 1980s pop. As is ‘Don’t Kill the Whale’. We’ve got a version of that too. I remember the video. Jon Anderson singing as he appears to stand in the sea. Embarrassing stuff, however well-intentioned. A classic bad video. 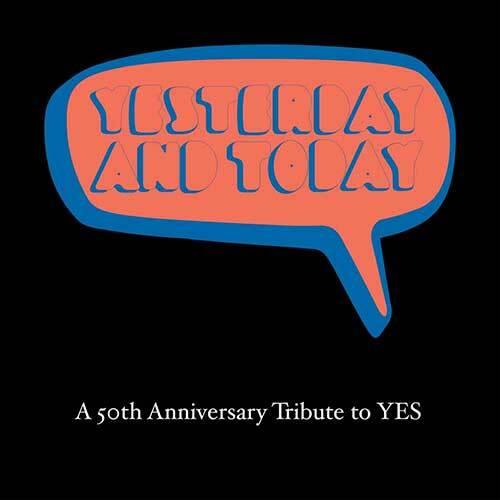 I hope there are some more famous Yes songs here? Yeah, loads. ‘Roundabout’, ‘On the Silent Wings of Freedom’, ‘Yours is No Disgrace’, ‘Long Distance Runaround’, Starship Trooper’, and ‘Parallels’. Radical new versions all round I expect? What did they do? Rap prog? Reggae dub deconstructions? Alternative arrangements? Some experimental reimaginings? No, they’re all pretty straight covers really. I mean tributes. Well, they’re ok. I prefer the originals to be honest. Well, what about the more unusual tracks? Well, there’s some I’ve never heard of to be honest. Really early tracks I expect, maybe some from the 1980s, or even perhaps when the band didn’t exist for a bit, coz no-one was talking to each other. But there’s ‘Machine Messiah’ from Drama. I like that album. So the Yes guys rallied round? Well, Jon Davidson and Billy Sherwood were keen. Geoff Downes, Patrick Moraz and Tony Kaye contributed. But no Steve Howe, Rick Wakeman, Alan White or Jon Anderson? Umm, no. 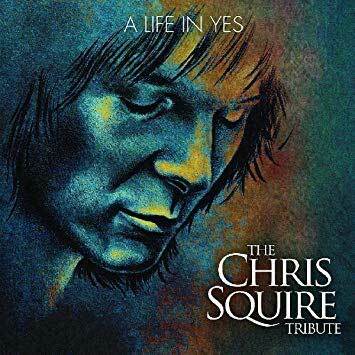 But we did get permission to use Chris Squire’s version of ‘Comfortably Numb’ as a bonus track on A Life in Yes. Isn’t that a Pink Floyd song? It’s not is it? Damn. What will people think? Who cares. Think about the royalties. This entry was posted on 1 December, 2018 in homepage and tagged Johnny Topographic Brainstorm, Tribute To Yes. Bookmark the permalink.